iLoveToCreate Blog: Get your green on this Earth Day! Get your green on this Earth Day! Going green in your crafting is all about reusing and repurposing what you already have to create something totally fab and new! It doesn't have to cost a lot of money (actually the idea is the cheaper the better) and it should make you feel good knowing you are upcycling your stuff laying around instead of going out and buying new! This movement has really taken off with the downturn of the economy...everyone is getting back to basics! Here's some awesome ideas to inspire you and help get your green groove on! All you need is a super strong glue like Liquid Fusion! It dries super fast and clear and is environmentally friendly. What could be better than that? 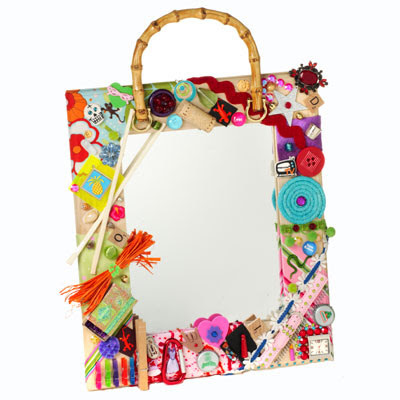 This funky mirror project uses all your bits and pieces around the house! 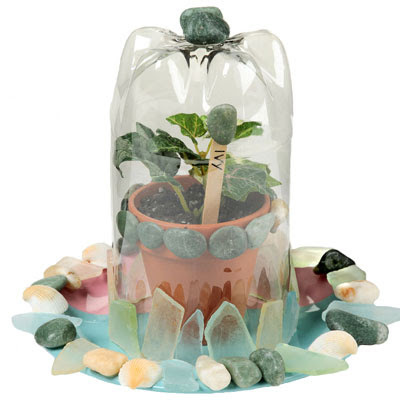 Make a terrarium from a liter bottle and watch plants grow! 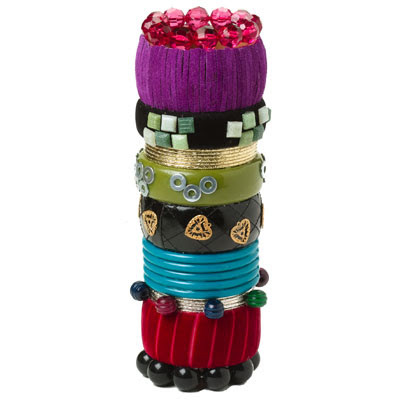 Turn old bracelets into a kitschy new vase. So colorful! 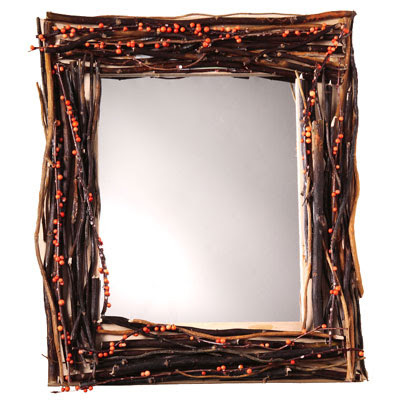 This berry branch mirror brings the outdoors in!